How do you cope when you feel totally overwhelmed by everything life throws at you? When you work for yourself, and don’t have much help, the overwhelm quota can start to become well, overwhelming. So you have to learn how to deal with it. I made this video a few months ago when I woke up one day feeling totally stressed out and bamboozled by everything I had on. Work, life, being a mum – all the things! I had no idea where to start. When you feel like this it’s really easy to lose hours, sometimes a whole day in my case, to procrastination. Feeling overwhelmed opens the door to procrastination. Instead of tackling your intimidating to-do list you end up scrolling mindlessly through your Facebook newsfeed, disappearing into an internet rabbit hole. Doing everything but what will help you move forward. It’s a classic avoidance technique. Yes, sometimes the best thing you can do is close your laptop, take a walk or have a duvet day on the sofa having a Netflix binge. But, that to-do list ain’t gonna get any smaller by itself, so in the end you have to put your big girl pants on and get stuff done. 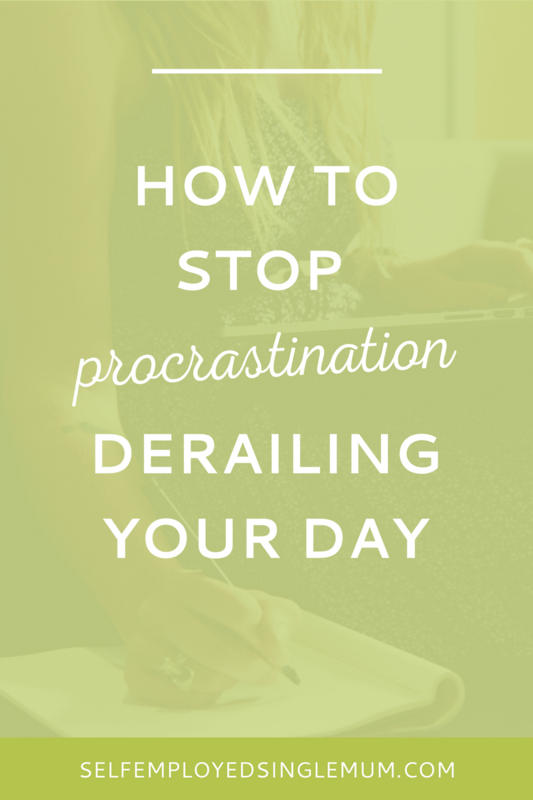 Thankfully I’ve made a point of educating myself about how to tackle overwhelm and procrastination, or at least stop them from derailing my whole day. Watch the video to find out what I did that day to try and get past that feeling of having no flippin’ clue where to start. The blog post I refer to in the video is by the lovely Kathryn Brown of Creating Your Plan. She’s got a wealth of brilliantly helpful posts and ideas on her site so it’s well worth bookmarking. So, what do you do when you feel overwhelmed? I’d love to get some more tactics to add to my overwhelm arsenal!